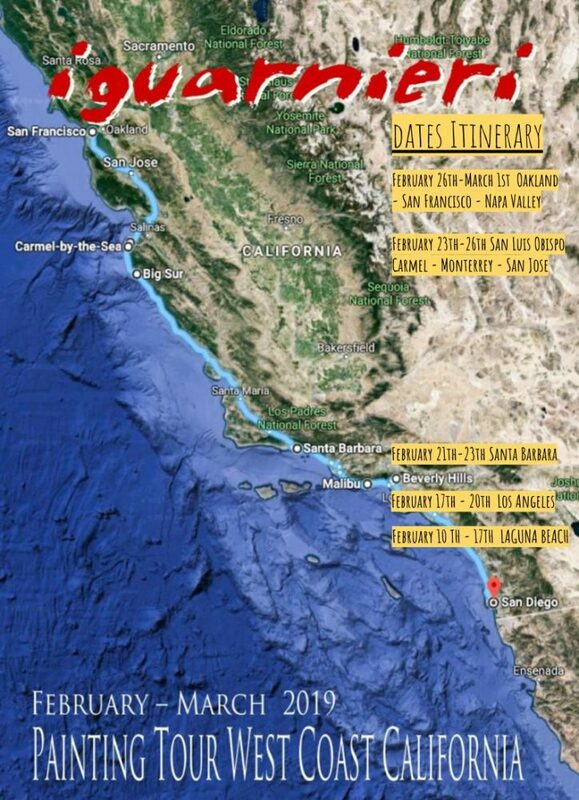 The California Painting Tour has begun and our Masters, Roberto and Rodolfo Guarnieri, brothers and founders of our brand Iguarnieri, together with Tyler, their student and assistant during this amazing tour, are more than exited to share with you what’s going on and the next stops! Here you can check the Itinerary to be updated and remember you can always book your appointment with them to discuss about Italian art and beauty meanwhile you enjoy the fresh new Californian – Italian Contemporary Fresco paintings on tour. Do not hesitate to write us to iguarnieri@iguarnieri.it for any further info. Follow us too on the social media stories on Facebook and Instagram!